Kansas City area residents poured in to pay tribute to the 50 people who were shot and killed at a nightclub in Orlando, Florida. 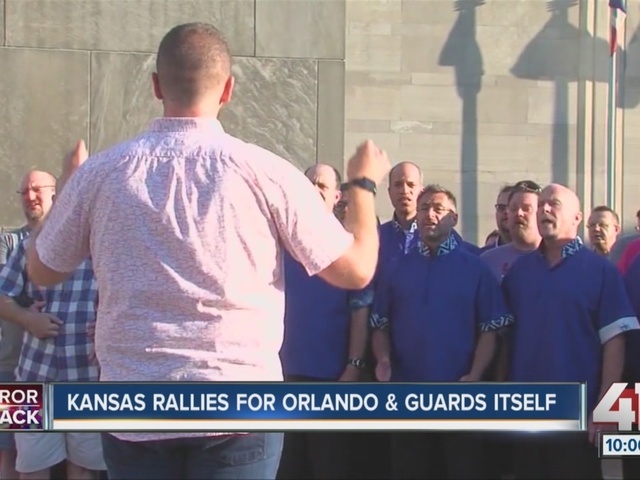 The Kansas City Anti-Violence Project and Like Me Lighthouse , Kansas City's LGBT community center, held a vigil at the Barney Allis Plaza on Sunday night. Mayor Sly James attended the vigil expressing his concerns for gun safety local and nationwide: "I don't care how you look at it, slice it or dice it, weapons in the hands of idiot, haters, bigots and fools. People will die. We have to stop it." Sadness mixed with anger pepper conversations at Hamburger Mary's as members of the LGBT community talked about the massacre in Orlando, Florida. Hamburger Mary's is a LGBT-friendly restaurant, located on Broadway Boulevard. It serves as a safe haven for many in the local LGBT community. 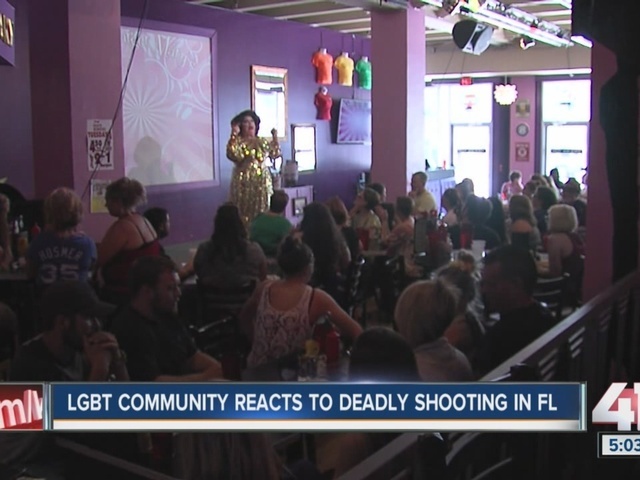 The events that unfolded on Sunday left local members of the LGBT community heartbroken. Alexxander Abreu says he has a number of friends who have been victims of hate crimes and this massacre just highlights the hate that remains for the LGBT community. "This is just one major huge event that people see, but there's a lot of smaller hate crimes that happen on a day to day basis which are just as terrifying," said Abreu. David Graham of the Community Blood Center says the blood bank received a request from the National Blood Exchange for O negative and A/B plasma, both universal. Graham says the center is short and doesn't have any extra to send.